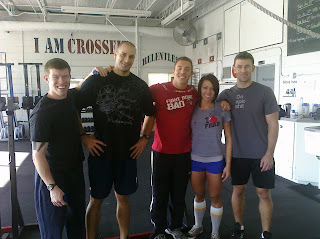 We are super blessed at Crossfit Central to have all stars such as these drop in for a workout in between certs. Ft. Hood and San Antonio. Jon Gilson is one of my Crossfit Heroes! He is one of the most passionate individuals I know! Sweet, sorry I missed that. Those are three of the coaches that did my Level One cert.